The Wander North Georgia store opened on November 18th, 2016 in beautiful downtown Clayton Georgia. As we have continued to grow over the past year, we have done our best to adapt and keep up with this growth while attempting to remain true to the spirit of what we started in December of 2015. 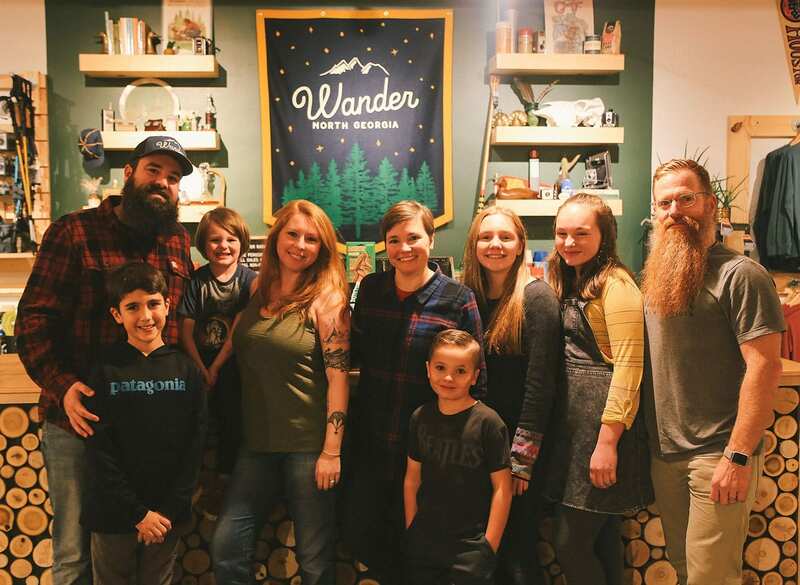 For us, opening a brick and mortar location in the heart of the North Georgia mountains is the natural evolution of what we are hoping to build and create by keeping us centered on relationships and rooted in the physical world. Ultimately it allows us the opportunity to engage face to face with a community of people who are as passionate as we are about the people and places that make North Georgia so special to so many of us. So come visit us in our store. We are Clayton's Best Outdoor Store and locally and family owned. We have dozens of the best outdoor brands to help you on your next hiking or camping trip. We've got a kids play area where you can turn them loose while you wander around the store a bit. Play a game of bocce ball with us. Have a cup of coffee or an ice cream cone. Let us share some recommendations on the best places to hike, shop and eat. And let us inspire each other to leave this place a little better than we found it.